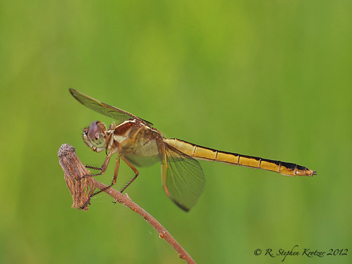 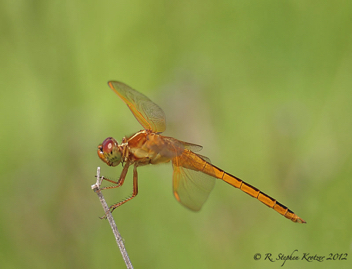 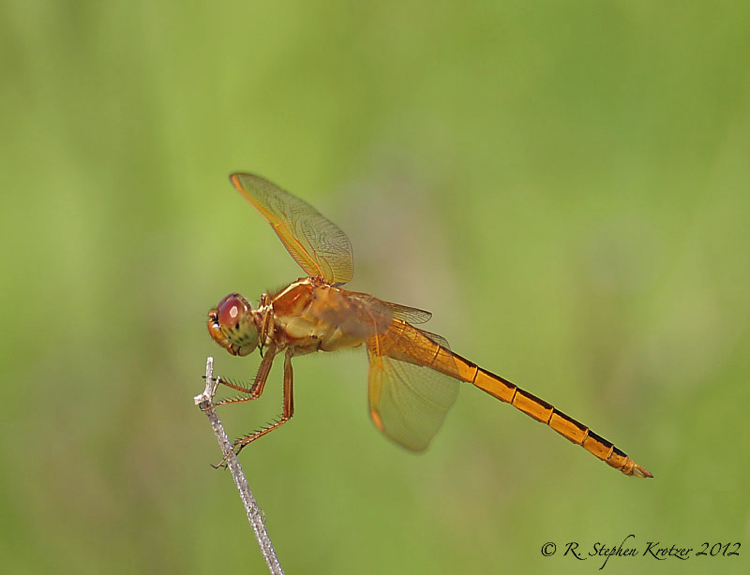 Libellula needhami is a Coastal Plain species, apparently restricted to the extreme southern counties in both Alabama and Mississippi. 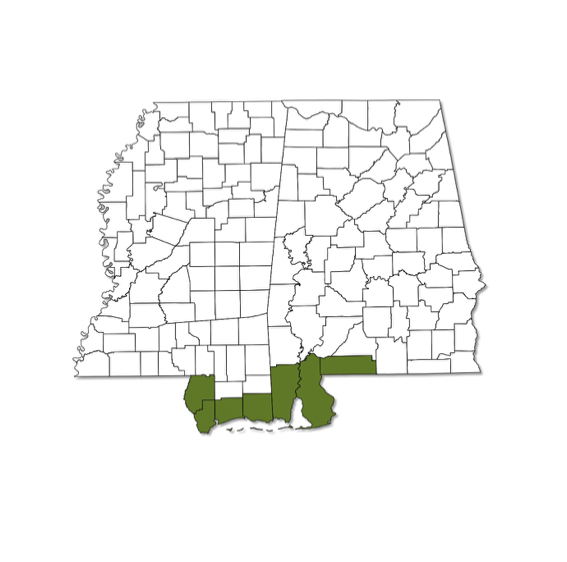 The breeding habitat includes freshwater or, more often, slightly brackish ponds, marshes, and vegetated ditches and sloughs. 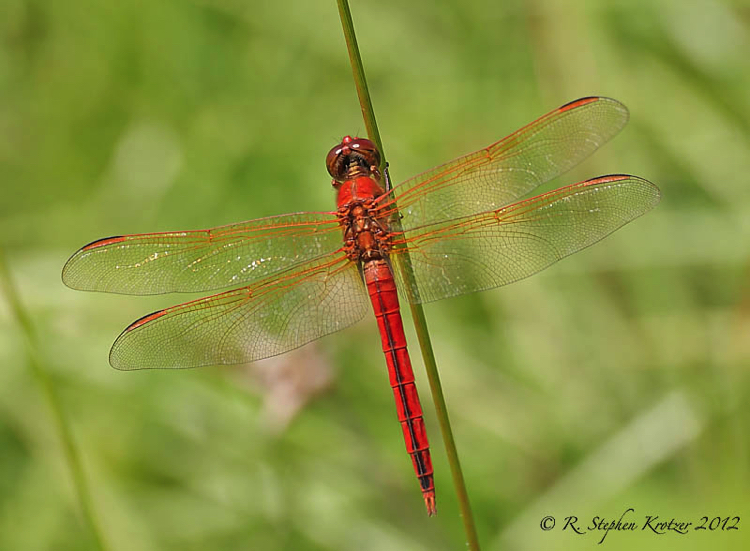 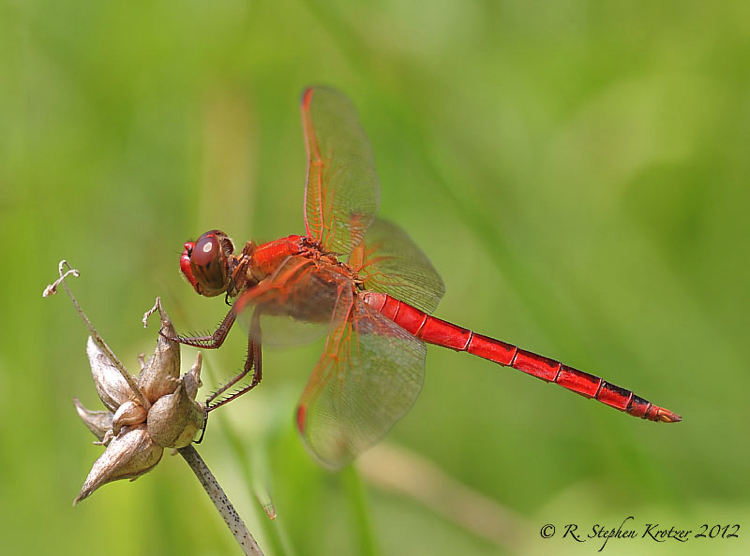 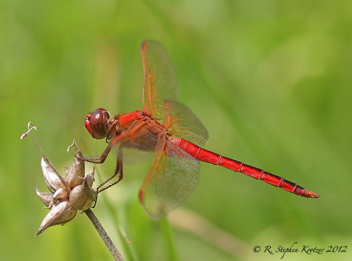 Young males of this species are colored like females; as they mature, they become a brilliant red.